Music festival season is upon us! In NYC, we look forward to The Governors Ball, which takes place on Governor’s Island. The music lineup isn’t even the best part in my eyes (but hey, I’m a vegan foodie…). The real stars of the festival are the dozens of food trucks and vendors that carry plant-based and vegetarian options. There are even some all-vegan vendors! Here are the food vendors that will be serving vegan options at this year’s Governors Ball, which takes place from June 3-5, 2016. One of the most exciting options is the all-vegan vendor by CHLOE. YASSS. The food at by CHLOE is amazing and has taken the NYC culinary world by storm the past year. I’m a fan of their Guac Burger. 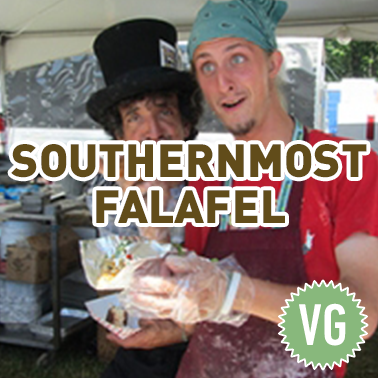 They offer soy-based veggie dogs and a variety of veggie toppings. They offer avocado toast, a beloved vegan dish. 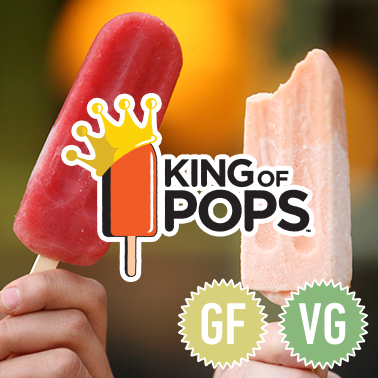 All of their pops are made from fresh Georgia fruit, and they have some vegan options woot woot! They make dairy ice cream, but they do offer vegan scoops, which are made with fresh cashew milk, coconut milk, cocoa butter and extra virgin coconut oil. 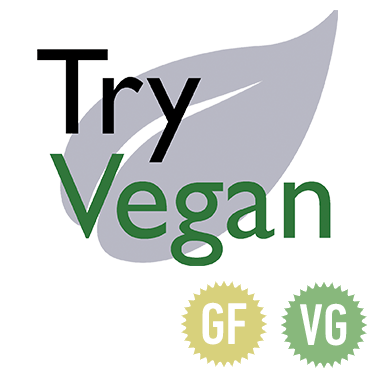 Try Vegan will offer many vegan options that are perfect for both vegan virgins and vegan connoisseurs. They serve CoConuts – AKA fresh coconut juice straight from the coconut. Simple and naturally vegan. Whether you’re vegetarian or vegan, this vendor has plant-based fare with bold tastes. 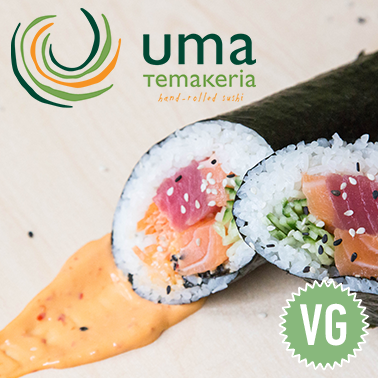 This place serves a trendy foodie item — Sushi Burrito, or Sushirito, as some people call it. It’s easy to order sans fish. They offer a vegan option called the Jerry Roll. This family-run business specializes in festival foods and snacks. Though they are known for more meaty or dairy-laden items like ribeye sandwiches and foot-long hotdogs, they will be offering some vegan items (though they didn’t specify on the Governors Ball website). They serve all-natural, real fruit smoothies. Will you be attending Governors Ball this year? Have you tried any of these vendors? I’ve had by CHLOE a few times and it’s worth all the buzz. That Guac Burger? SO GOOD. It’s one of my favorites, as well! What do you order? I like the the guac burger + mac n’ cheese.